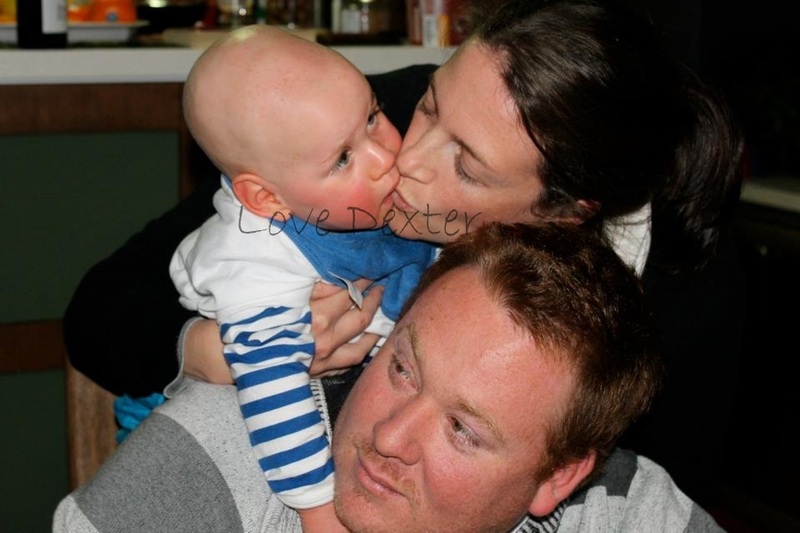 Aged 13 months, Dexter was diagnosed with hepatoblastoma. Our hearts broke and we hardly had the energy to face the world. This was just one more thing in Dexter had faced in his first 12 months of life. Just after Dexter’s first birthday, his pediatrician detected his enlarged liver. He sent us for blood tests and ultrasounds. These indicated he had a mass, needing treatment. We were sent to Sydney for a CT scan, and our worst fears were confirmed when the specialists spoke the word “cancer”. Lumps were also detected on Dexter’s lungs and he was scheduled for an immediate biopsy. Thankfully, these lumps were cleared as simply enlarged lymph nodes and not additional cancers. Typical liver cancer treatments can cause permanent hearing loss in patients. With Dexter’s already diagnosed vision impairment, the thought of him losing his hearing as well was terrifying. We convinced his oncology team to devise an alternate treatment for our son. They developed a very individualised plan for him, consulting oncologists all around the world. The treatment they gave him was relatively new and he was closely monitored. Dexter had four rounds of chemotherapy over the next four months. His first two treatments consisted of 96 hours of continual chemotherapy and his next two treatments consisted of 48 continuous hours. He became sick with an infection after his first round of chemotherapy and required four days hospitalisation, isolation and antibiotics. After four chemotherapy rounds, the surgeon was ready to operate. His five and an half hour surgery went perfectly. The predicted 24 hour ICU recovery period was drawn out to six days. Once again, Dexter reacted to his pain medication and stopped breathing. He also developed numerous infections, which needed isolation and treatment. 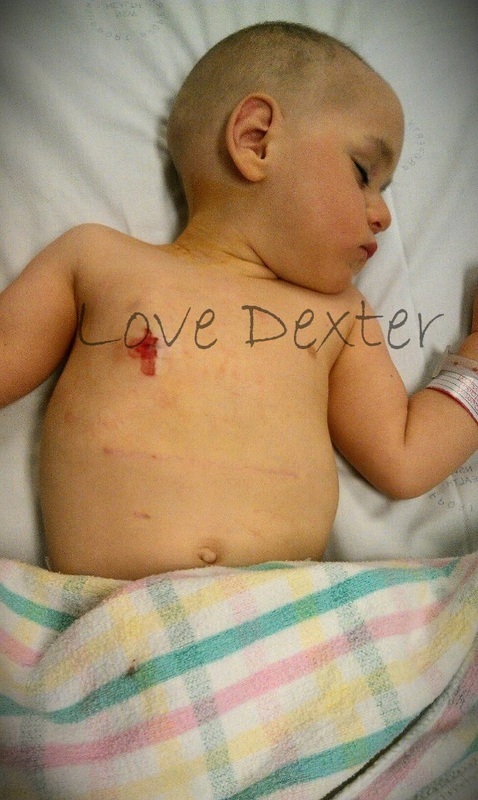 All together, Dexter spent 11 days in hospital, recovering from his surgery. Once he was well enough, he started his final two rounds of chemotherapy. These were both 96 hour treatments. 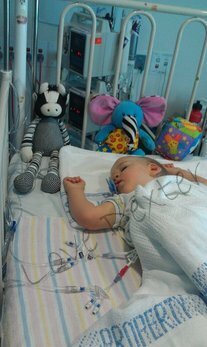 He required hospitalisation for platelet and blood transfusions after each treatment. We traveled to hospital, weekly, for blood tests and line care to ensure his chances of infection were minimal. 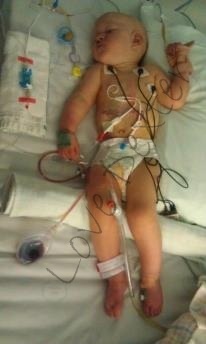 Following a scan in January 2013, Dexter was given the all clear and our hearts learned to sing again. When Dexter was in hospital, he won the heart of a lovely ward nanny, Margaret. A ward nanny sits with the children for a while, so their exhausted parents can get a few moments of fresh air, or a coffee. Margaret has been a ward nanny for over a decade, but felt extra love for Dexter. She has maintained contact with our family, and we are so grateful for her love of him. As luck would have it, the day Dexter’s mass was detected, we discovered he would be a big brother. His sister, Charlotte was born in January 2013, a week before he was cleared of cancer. The pregnancy was stressful because we had endured many bad experiences with Dexter. To top it off, he was considered “cytotoxic” for almost two weeks during each of his chemotherapy treatments. His body fluids were therefore considered toxic to us and the unborn baby. 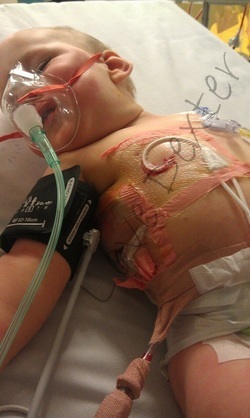 Extra care was needed just to give him a hug and kisses were out of the question during this cytotoxic time. Throughout this eight month ordeal, Dexter rarely complained and never made a fuss. We can see how sick Dexter really was because we can see how much energy he now has. Two years cancer clear! Read about it here.